In its ten-year history, the largest festival of literature in the Arab world has featured 1,000 writers from over 65 countries and attracted thousands of visitors. Highlights this year included trailblazing scholar and author Professor Hatoon Al Fassi, who shared her thoughts on female empowerment in Saudi Arabia. The author of three books, including ‘Women in Pre-Islamic Arabia’, also revealed that she has another manuscript in the pipeline. The renowned American-Chinese master of Asian cuisine discussed his impoverished childhood in Chicago and how it spurred him to fulfil his professional ambitions. With 36 published books to his name, Hom’s fascinating life story might soon be shown on the silver screen. “I would like to pick who plays me. (But) not Jackie Chan, he’s is too old.” the chef added with a chuckle. 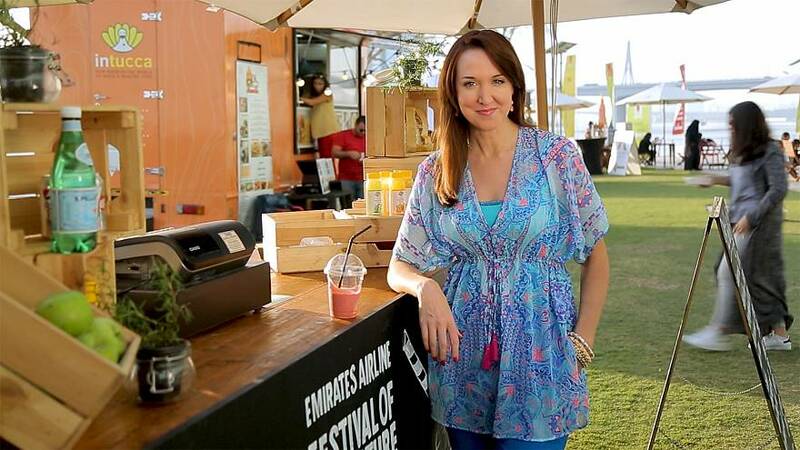 The popular food festival, Taste of Dubai, drew foodies from across the region for a three-day celebration of global cuisine. The event also featured cooking demonstrations from famous chefs like Michelin star restaurant owner Giorgio Locatelli and French patissier Eric Lanlard. A frequent visitor to the Italian eatery he established in the UAE, renowned cook Locatelli highlighted how he’s keen to use more local ingredients in his signature dishes. I was high on books! New vlog is out and its about attending @emirateslitfest Link in my Bio.